Web–based email (such as Gmail and Hotmail) and social networking websites (such as Facebook) are perhaps the most ubiquitous examples of Cloud services. are delivered via the Internet (the “Cloud” being an icon for the Internet); and typically have a de–centralised IT infrastructure (ie the supplier’s data centres are spread across multiple, and sometimes offshore, locations). Concerns about privacy and control over data are often cited as the major impediments to the growth of Cloud and its wide adoption by both business and government in Australia. It is easy to understand why. Moving to the Cloud means relinquishing a degree of physical control over your IT infrastructure and relying, in part, on your Cloud vendor to ensure that your information is kept private and secure. If the data is stored in offshore locations, those locations may or may not be in countries that have privacy laws which are the same or similar to those in Australia. However, contrary to popular perception, Cloud services models are not inherently incompatible with Australia’s privacy laws or with privacy protection or security in general. Cloud does not raise legal issues, especially in respect of compliance with Australian privacy law, that are wholly new or even dissimilar to issues that have arisen in respect of other IT services (such as in the outsourcing and offshoring models). In respect of these other IT services, the issues have been successfully managed by well–advised agencies and businesses. Australia has Federal, State and Territory laws which generally adopt similar (although not identical) privacy principles. The principal piece of Federal legislation, to which all Federal agencies and most private sector business are subject, is the Privacy Act 1988 (Cth). For example, some email addresses (such as alec.christie@dlapiper.com) are personal information, but anonymous information (such as purely statistical data) is not. APP8 (cross–border disclosure of personal information) regulates the disclosure/transfer of personal information by an agency or business to a different entity (including a parent company) offshore. Before disclosure of personal information offshore, the Australian agency/business (Australian sender) must take reasonable steps to ensure the overseas recipient will comply with/not breach the APPs. This can be done by appropriate contractual provisions. However, the Australian Sender will (subject to limited exceptions) remain liable for the overseas recipient’s acts and practices in respect of the personal information sent as if the Australian Sender had engaged in such activities in respect of that personal information in Australia and, where relevant, be in breach of the APPs due to the overseas recipient’s acts or omissions. The practical importance of privacy issues for Cloud offerings very much depends on the nature of the particular Cloud services being acquired. 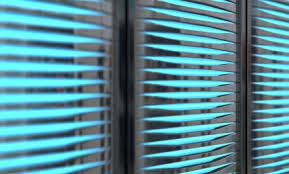 In particular, whether the Cloud offering is simply renting the “tin” – ie under an IaaS model – or is more akin to a managed services, SaaS or EaaS2 model, where the vendor has access to, takes possession of or processes the personal information of individuals provided by the customer. It is worth noting that there is (in our view, indiscriminate) customer concern and focus on privacy and data security issues in respect of all Cloud offerings, in particular where the Cloud is (or may be) based outside of Australia. In fact, privacy and security of information are consistently raised as the two main concerns for Australian agencies and businesses considering entering the Cloud. Potential customers are concerned, where the Cloud offering is based/has servers outside of Australia, that the placing of any personal information in the Cloud always results in a disclosure/transfer of the personal information offshore and this raises concerns for them as to whether or not they have the appropriate notifications/consents in place. While there are some real concerns in respect of certain Cloud offerings in certain circumstances, in reality under the IaaS model, for example, the data is not usually “transferred” to a third party (ie the vendor). Rather, the information usually remains under the control of the Australian customer and, therefore, does not require any specific notifications or consents as the Australian customer remains liable for privacy compliance under Australian law, no matter where it takes the data. Australian customers are also often concerned (again, we believe, indiscriminately) about the possible access to their data by foreign governments (eg under the terms of the USA PATRIOT Act 2001 or similar legislation of other countries) if hosted overseas. While this is not the place for a philosophical debate about the rights or wrongs of government (including intelligence agencies) accessing one’s information and the recent events/publicity around this issue,3 it is safe to assume that most governments can access one’s information (wherever it is kept in electronic form) if they want to. Of course, there will be information of an agency (in particular) or possibly a business which is so sensitive/of such national importance that there must be no chance of it being accessed by a foreign Government and so a foreign hosted Cloud offering is out of the question (as would be any offshoring, outsourcing or third party data centre hosted offering). However, for most of us and for most of our information, access by the Australian Government or a foreign government is not either anticipated or overly concerning in a practical sense. While security in general and the security standards to which a Cloud vendor complies are important, the practical impact of the USA PATRIOT Act for US hosted Cloud offerings (or like legislation or potential actions of foreign governments for other foreign hosted Cloud offerings) should not be overstated. Where the Cloud vendor is simply renting the “tin” to the customer and is not itself involved in any handling, use or processing of the personal information held by its customer, all obligations with respect to privacy (and, generally, compliance with relevant laws) rightfully rest with the customer. In such circumstances, it is usual for the customer to warrant (and be obliged to ensure) that it has all necessary privacy consents and has made all necessary privacy notifications in order to use the relevant service. Where the Cloud vendor has a more “active” role in handling, holding, using or processing the personal information originally collected or held by its customer, then the vendor also needs to consider its obligations under (and be compliant with) Australia privacy law even if, in practice, much of the mechanics of compliance is pushed down to the customer. That is, the customer must make the appropriate notifications/obtain the appropriate consents to provide the personal information to the vendor, but the vendor still needs to consider its separate privacy obligations. will require the Cloud vendor to provide/satisfy additional specific security and privacy assurances, audit rights and significantly increased related obligations. Businesses and agencies which rely on Cloud services commonly address their obligations under the Privacy Act by (i) notifying/obtaining any relevant consents from individuals whose personal information they collect to process and store their information in the Cloud and (ii) by placing appropriate Australian specific contractual obligations of privacy on the Cloud vendor. the vendor’s reputation and track record in relation to security and privacy. rights to audit and access information, including a right to the return of information when the agreement ends. Of course the ability to demand and negotiate contractual measures and protections will depend, in part, on relative bargaining position of the parties, the contract value and the type of Cloud services being acquired. Accordingly, in some circumstances, an agency or business may be forced to assess the risks of proceeding without certain security or privacy protections against the benefits/cost savings it will receive from the Cloud service. Cloud Computing To Be the Backbone Of Enterprise IT?